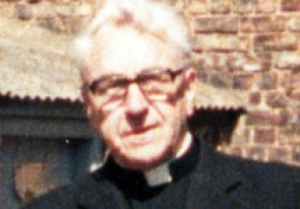 Father Joseph O’Brien, who served as a priest in Thirsk, North Yorkshire, for 15 years, had previously been dismissed for abusing a number of boys at the St William’s children’s home in Market Weighton, East Yorkshire. It also poses questions for Humberside Police, which was made aware of Father O’Brien’s actions but did not interview or arrest him when his history was flagged up in a formal witness statement in 2002. Father O’Brien died in January last year. He was sacked from his position as deputy principal at St William’s in 1965 and escorted from the building. At that time, Father O’Brien was a member of the De La Salle Brotherhood, a Catholic lay order which ran the home, and was known as Brother Ambrose O’Brien. The dismissal was formally reported to the board of managers at the home, which was part of the Middlesbrough Diocese. But in 1972, while still a member of the De La Salle Brotherhood, he asked the then Bishop of Middlesbrough, the late Bishop John McClean, if he could train to become a priest. The diocese has told the Yorkshire Post that the bishop sought a reference from De La Salle but was not told why Father O’Brien had been sacked from St William’s. De La Salle has confirmed it did not in its reference say why the then Brother Ambrose O’Brien was sacked. But the brotherhood also pointed out the diocese held recorded evidence of the dismissal. He was consequently able to train at Ushaw College in Durham and was ordained in 1975. Father O’Brien went on to serve at churches in Middlesbrough before moving to North Yorkshire, and had a 15-year spell at All Saints in Thirsk, from where he retired in 1998. When he died last year, aged 87, the diocese held a funeral Mass attended by the current bishop – Bishop Terry Drainey – and 20 other priests. The diocese published details of the Mass on its website, including the homily, but there was no reference to Father O’Brien’s dismissal from St William’s. The Yorkshire Post can also reveal that Humberside Police, which has previously been censured by the Independent Police Complaints Commission (IPCC) over failings in its investigation into St William’s, was told about Father O’Brien’s sacking, along with suggestions that he might have gone on to abuse other children while a priest. A witness statement provided on January 23, 2002 by Noel Hartnett, who was himself the subject of investigation but cleared of any wrongdoing, directly identified Father O’Brien as a perpetrator. Mr Hartnett, a former Brother at the home, informed two detectives why Father O’Brien was sacked and told them that he himself was present when the home’s principal carried out the dismissal. He also told them a priest in the diocese had approached him during the early 1990s for information on Father O’Brien because the priest had heard of allegations of more recent abuse. Mr Hartnett told police the priest said he was compiling a dossier to send to the bishop. A Catholic diocese held liable for abuse at a former boys’ school has been allowed to appeal against the ruling. The abuse is said to have taken place between 1960 and 1992 at St William’s in Market Weighton, East Yorkshire. The Court of Appeal ruled last year that the Middlesbrough Diocese was responsible for an £8m compensation claim from 158 ex-pupils. The Supreme Court has now allowed the diocese to appeal in order to blame another Catholic diocese. Last October the appeal court upheld a ruling which said the De La Salle Brotherhood, which provided the school with teachers at the time, had no legal responsibility and it was down to the Middlesbrough Diocese. The case centres around the systematic abuse of boys aged between 10 and 16 at the school, which closed in 1992. The home provided residential care and education for boys with emotional and behavioural problems, mainly from Yorkshire and the North East. Humberside Police started an investigation in 2001, which focused on child abuse at the home between 1965 and 1992. A former principal at the home, James Carragher, was jailed for 14 years in 2004 after being found guilty of abusing boys there between 1969 and 1989. A Catholic diocese has launched an appeal after being found liable for running a boys’ school where 150 former pupils are suing for abuse. Middlesbrough Diocese is facing the £8m compensation claim. The alleged abuse took place between 1960 and 1992 at St William’s in Market Weighton, East Yorkshire. A judge ruled last year that the De La Salle Brotherhood, which provided the school with teachers at the time, had no legal responsibility. At a hearing at Leeds Crown Court last year, a judge decided that the diocese, which owned the home, and not the De La Salle Order of Christian Brothers, a Catholic order of lay teachers, was responsible for the abuse that took place. The compensation claim by the 150 pupils was submitted in 2006. However, the Middlesbrough Diocese said it believed the Catholic brotherhood should take some responsibility. Jeremy Stuart-Smith QC, representing the diocese and its Catholic Child Welfare Society, started the appeal in front of the three judges at the Court of Appeal in London on Monday. The case centres around the alleged systematic abuse of boys aged between 10 and 16 from 1960 to 1992. The home provided residential care and education for boys with emotional and behavioural problems aged from 11 to 18, mainly from Yorkshire and the North East. The appeal is expected to last four days, when judgement will be reserved to a later date. More than 100 former pupils of a Catholic children’s home are suing for damages over alleged physical and sexual abuse suffered while in care. Action is being taken by 140 men against the organisations responsible for running St William’s Community Home in Market Weighton, East Yorkshire. If the claims are successful, damages could run into millions of pounds. He was previously jailed in 1997 for seven years for abusing nine boys. The men are suing the Diocese of Middlesbrough, which owned the home, and the De La Salle Brothers, a Christian order of lay teachers. The solicitor coordinating the legal action, David Greenwood, said the men claimed they had suffered physical, psychological and sexual abuse at the hands of a number of members of staff at the home. But Mr Greenwood, of Wakefield-based Jordans Solicitors, said investigations were still at a “very early stage”, though he hoped the legal action would be concluded by the end of next year. He said: “Physical abuse was widespread. It was rare for a boy to go through the St William’s system without being subject to cruel punishment. A spokesman for the Diocese of Middlesbrough said it was aware a significant number of men were currently making claims for compensation. He said the diocese had cooperated fully with Operation Algate, an investigation by Humberside Police into claims of abuse at the home. He said: “As a result of Operation Aldgate a number of criminal prosecutions have been brought against former staff members at St William’s, many of whom were members of the De La Salle teaching order, responsible for the day to day management of the home, but to date all have been acquitted except for James Carragher. “Given the number and complexity of the allegations being made, the only appropriate way to respond to them is through the courts. A spokesman for the De La Salle order said it was inappropriate to comment until the legal process was complete.